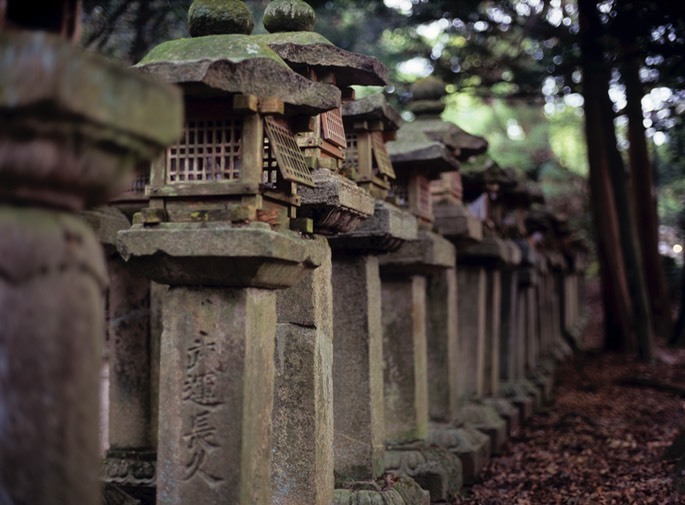 About 2 years ago, I took my Mamiya 645 rig to Nara and Kyoto. I was busy re-scanning the rolls of film from that trip over the past few weeks and remembered just what good results I managed to get. The Mamiya is a very clever modular 6x4.5 format system. Like Hasselblad, you can change backs, bodies, finders and lenses to create a camera that works for you. They have some amazing lenses to go with the bodies - including the fastest medium format lens available - the brilliant Mamiya-Sekor 80mm F1.9. 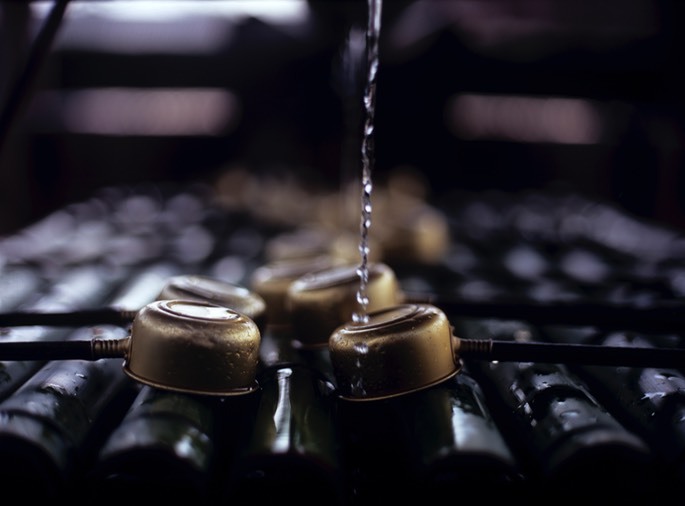 I love this lens, and all of the photos on this page were taken with one. Nara itself is a very interesting place, with an even longer history than nearby Kyoto. It was actually the capital of Japan before Kyoto. While not as dense as it’s neighbour, it still has some amazing temples and shrines and is often much less crowded than Kyoto - which is better for me and my cameras. 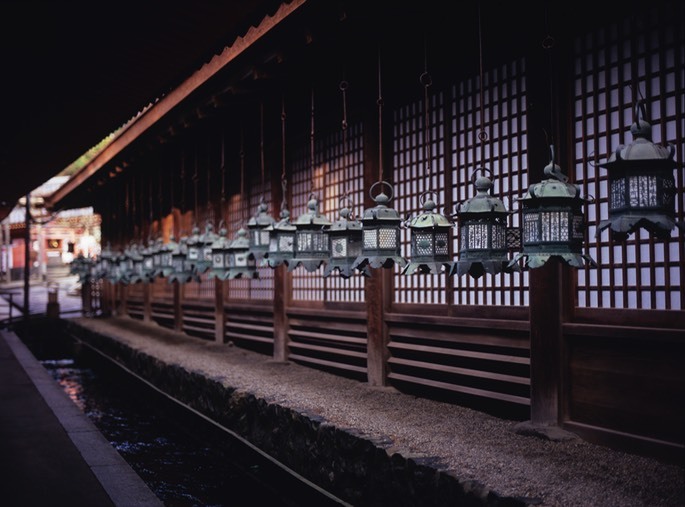 There is one famous shrine called Kasuga Taisha that is best known for the amazing number of lanterns in the compound. These photos were taken there. Every good shrine visit should have a photo like this. Fuji Astia 100 positive film. Really beautifully detailed cast iron lanterns in the temple proper. Fuji Provia 100F positive film. 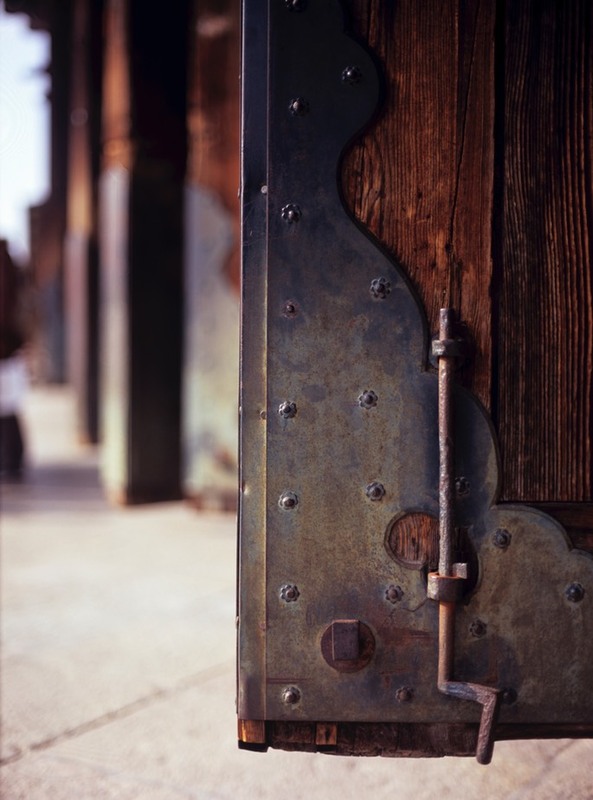 Detail from a door. Fuji Provia 100F positive film. 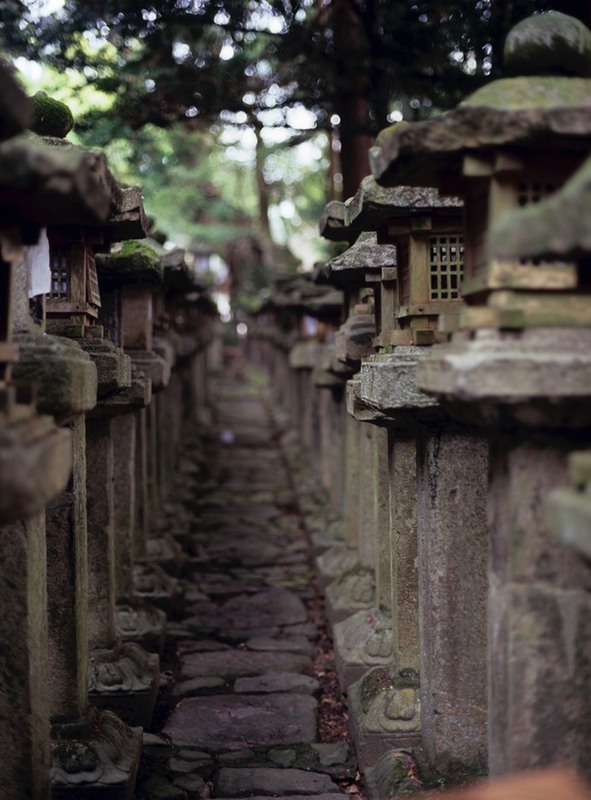 Corridor of stone lanterns. Fuji Provia 100F positive film. From the outside. Fuji Provia 100F positive film. 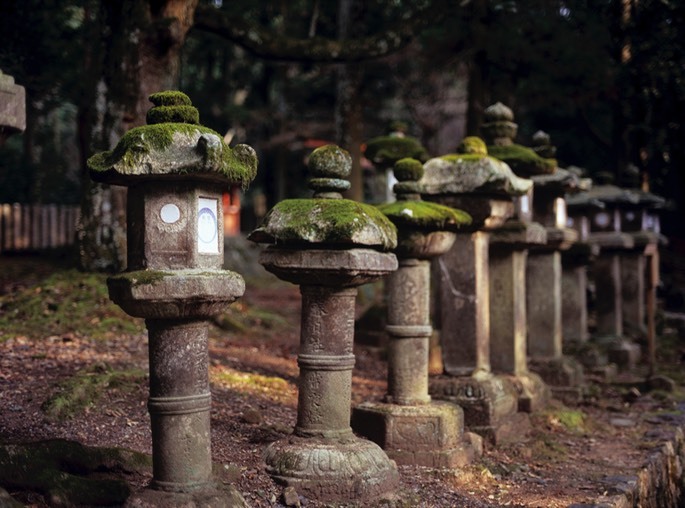 Individually sponsored stone lanterns. Fuji Provia 100F positive film. 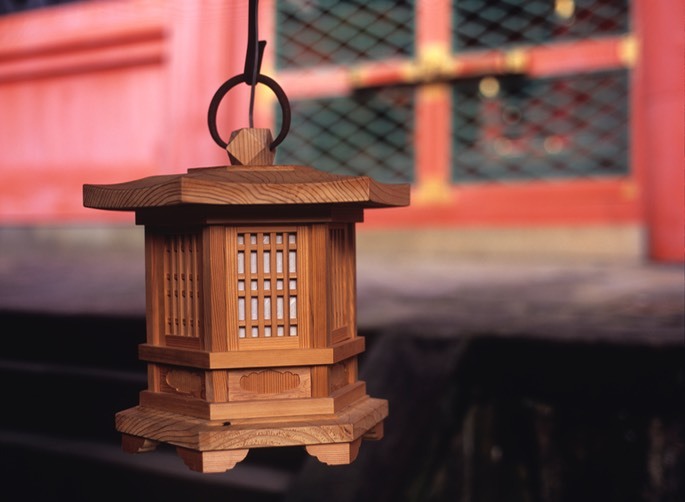 Wooden lantern. Fuji Provia 100F positive film.